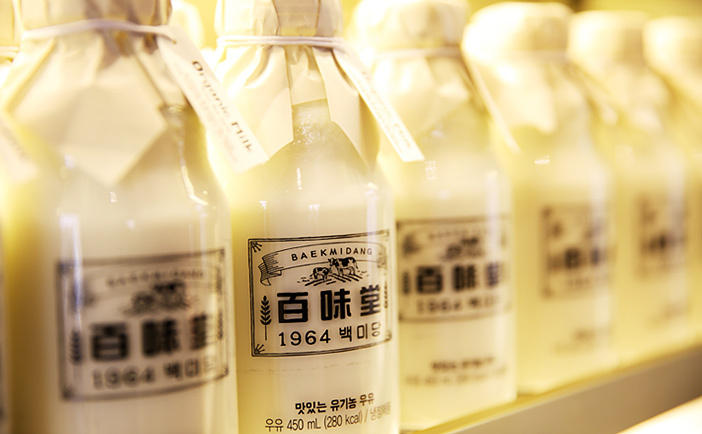 Banjjak Banjjak Bitnaneun uses ingredients that are 100% organic, including tea leaves that have been aged for at least 3 years, enhancing both flavor and fragrance. Even the desserts are made with natural ingredients without any addition of food coloring or artificial flavors, so you know exactly what your child is eating. 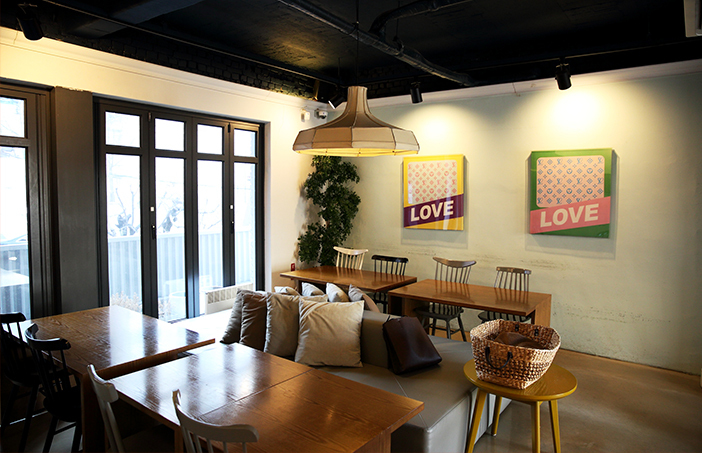 The interior of the café is also neat and well organized, representing Korea’s traditional simplicity. The café’s signature menu is the thick and rich black soybean smoothie. Its natural sweetness goes perfectly with roasted injeolmi (rice cakes coated with powdered soybeans), another popular menu. 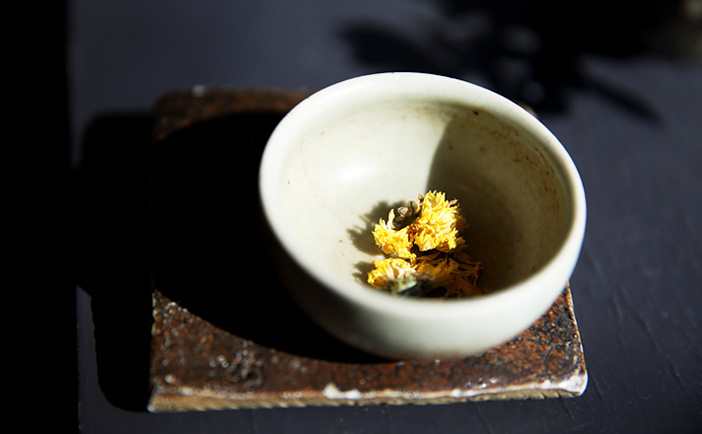 If you are looking for something more traditional, wormwood tea is your best option, brewed from wormwood leaves naturally ripened in the sea fog around Ganghwado Island. 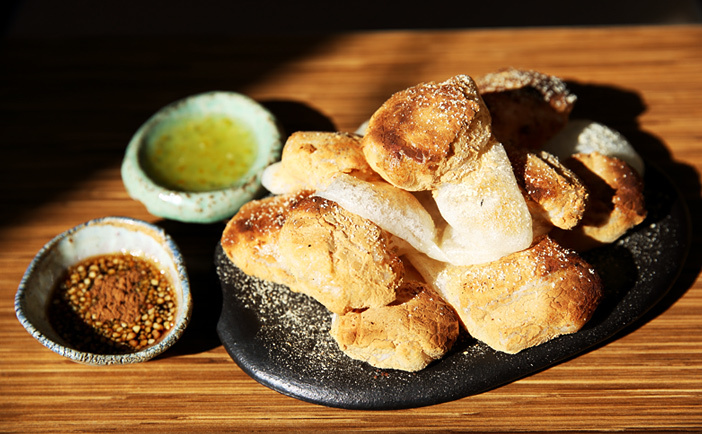 Owned by a chef with a degree from a prestigious cooking school, Ma non troppo offers exquisite handmade desserts made with organic flour, 100% natural New Zealand butter, and fresh eggs. Ma non troppo has been featured in several television programs for its reliable ingredients and outstanding taste. Signature menus include rosé cake, with the scent of roses; blueberry tart; raspberry chocolate mousse; and fruit roll cake. Each dessert is carefully crafted to please the eyes as well as the palate with its rich and refreshing taste. Try any one of the cream-filled desserts and you’ll be surprised at how addictive a mildly sweet cream can be. Grapefruit tea is another enjoyable treat at this café, served with grapefruit pulp that burst with flavors inside your mouth. Baekmidang is famous for its traditionally processed ice creams. 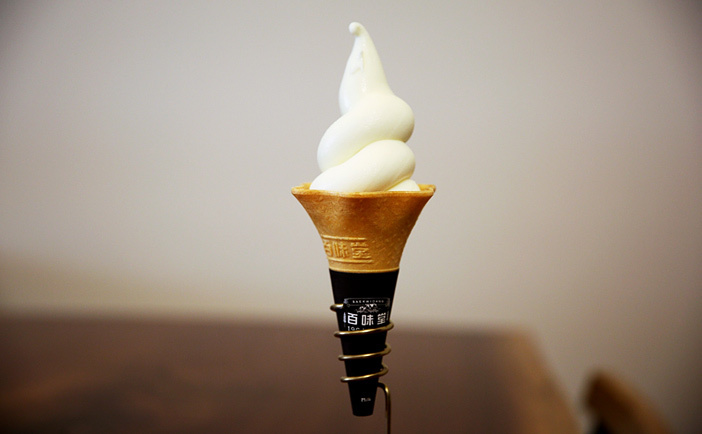 Among its variety, the most popular are the soft-serve ice cream made from certified organic milk, popular among children, and soft-serve ice cream made from soy milk. Topping options, such as seasonal fruits and pumpkin sweet potato chips, are available for a combination of different flavors and textures. 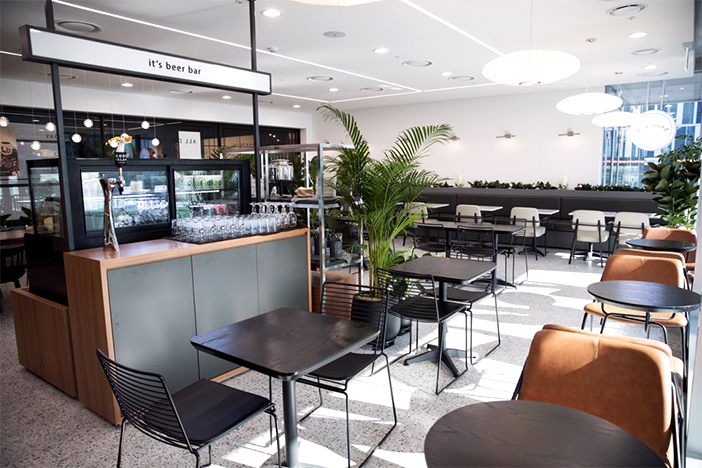 The café is designed with metal, wood, and stones, exhibiting a traditional Korean interior that is as neat as the desserts served at this café. The second floor of the building is used as a cafeteria while the fourth floor serves as a classroom for barista training. 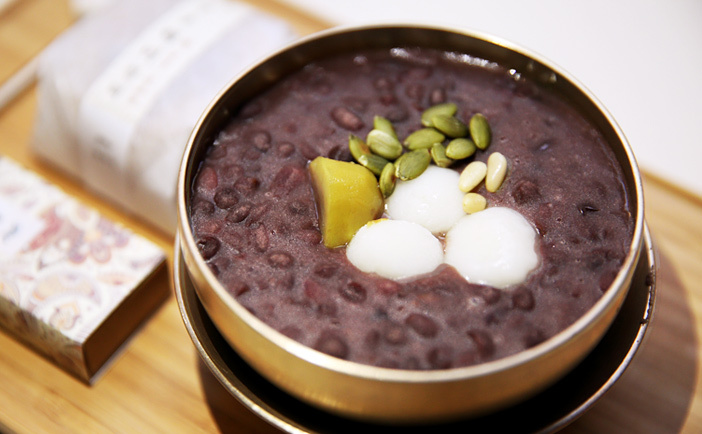 Geumokdang specializes in authentically made yanggaeng (red bean jelly), different from those found in regular stores. Take a bite and enjoy the rich texture of yanggaeng as it softly melts in your mouth. No preservatives are added to the products, making the shelf life shorter, but it’s a health-conscious choice. The taste is just sweet enough for children to enjoy without being over powering. The fancy yet neat packages make a perfect gift option for friends and family. Yanggaeng comes in 16 flavors including mugwort, chestnut, black sesame, and raspberry. The yanggaeng is sweetened just enough to bring out the scent and natural flavors of the main ingredient. 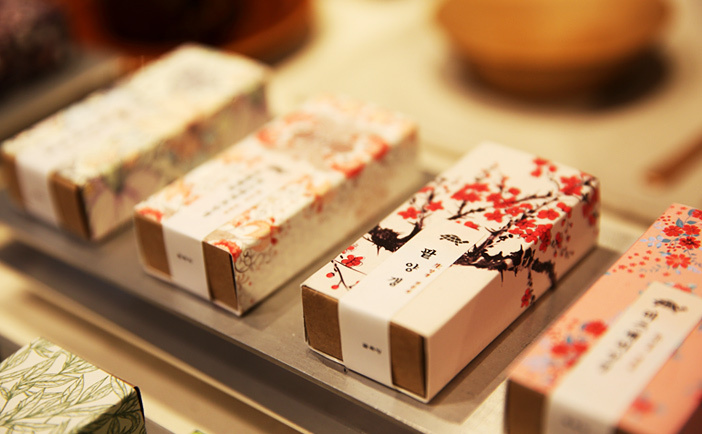 Other items sold at the store include chewy rice cakes made with rice water, and traditional juk (porridge). The menus served at Geumokdang are well seasoned while leaving a pure aftertaste. La boite offers a delightful selection of diverse macarons and cakes. 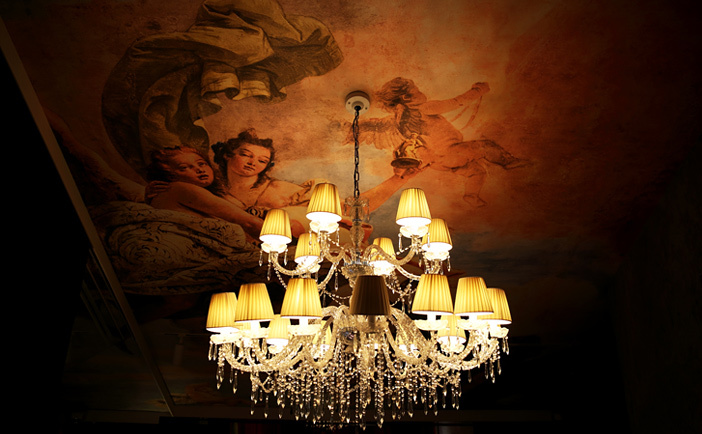 The first floor gleams brightly with golden colors while the second floor is decorated with luxurious props and artistic murals. 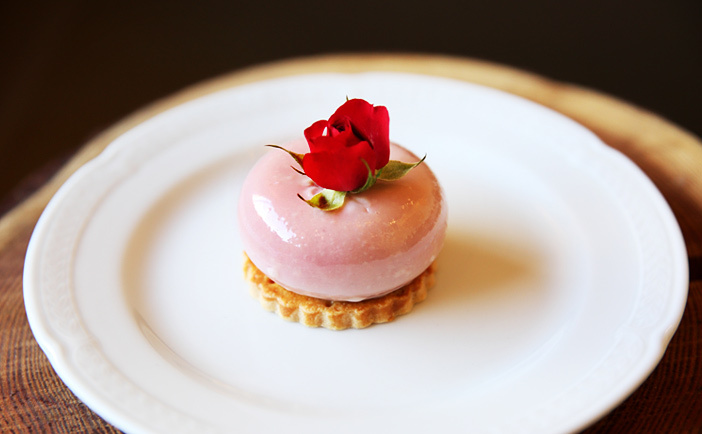 La boite’s showcase presents a variety of fancy desserts, making it hard to choose just one. The cake topped with macarons is a popular choice when children get to pick! Cake pre-orders are also accepted. With a taste as excellent as its looks, the desserts here cannot be missed. We recommend the blue velvet cake, topped with fresh blueberries. If that’s not enough to satisfy your sweet tooth, the salted caramel macaron is also recommended. 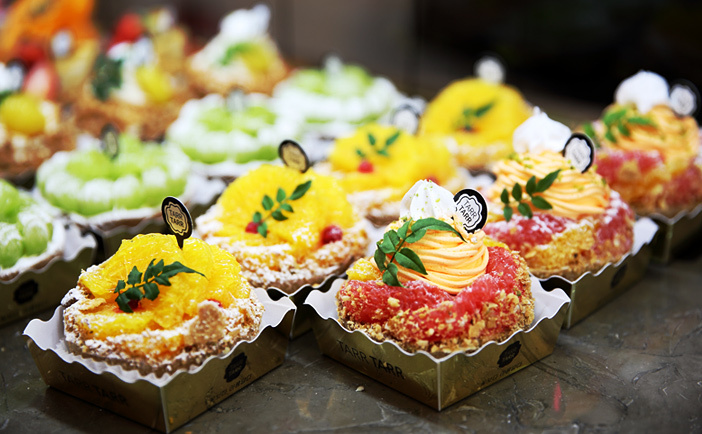 As soon as you walk into Tarr Tarr, freshly baked colorful tarts will immediately grab your attention. These sweet desserts are heavily topped with seasonal fruits like grapes, strawberries, oranges, mandarins, and kiwis. There are so many varieties to choose from, it’s hard to step away from the dessert display. The tarts are baked daily to ensure freshness. 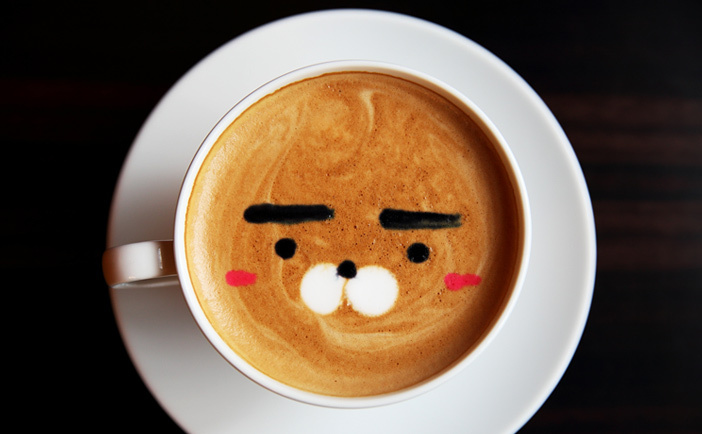 The café menu also includes fruit drinks and coffee varieties for the whole family to enjoy. 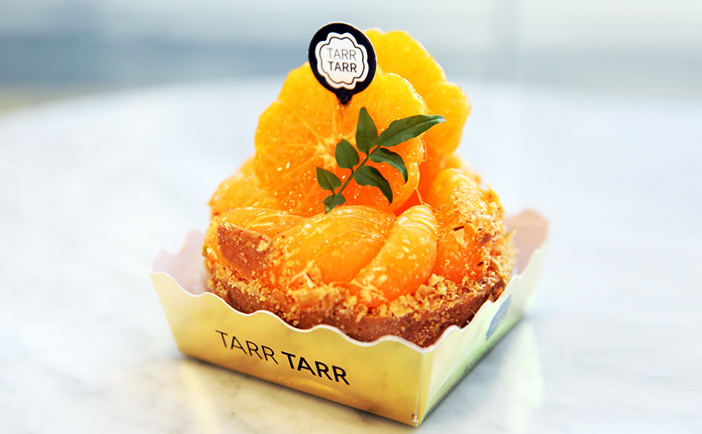 Tarr Tarr’s fruit tarts boast an excellent combination of crunchy crust, rich cream cheese, and delicious fruits. On the other hand, the egg tarts offer a pleasant sweetness presented by the creamy custard. Other popular menus include the apple egg tart and cheese tart. Tarr Tarr prepares tarts twice a day, at 11:00 and 18:00, due to its huge popularity. 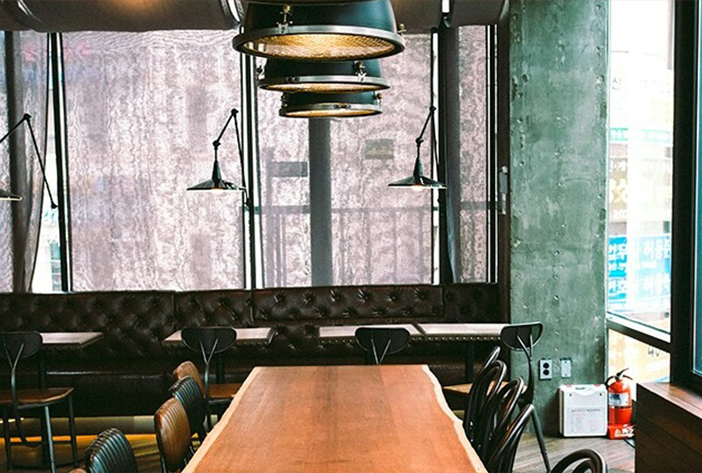 The yeasty scent of baking bread fills the interior of Grit 918, a rather large space perfect for family visitors. The baked goods, sandwiches, and meals are all made in-house with fresh ingredients by trained chefs. Bread is baked each morning, so the best time to visit is in the early hours between 10:00 and 11:30. The breads aren’t the only thing healthy here; the drinks are just as good for you! The fresh fruit juices are made on the spot with all real fruits for a taste that children and parents can both love. For a healthy snack during your busy trip, stop by Grit 918! Long Bread is a popular brunch spot in the Myeong-dong area, known for their filling meals and beautiful white-tone interior design. While the term brunch originally only applied to meals eaten in the late morning, these days brunch meals can be enjoyed at any time. At Long Bread, you can enjoy any of the brunch sets, excluding the French toast and Eggs Benedict, for dinner if you want! 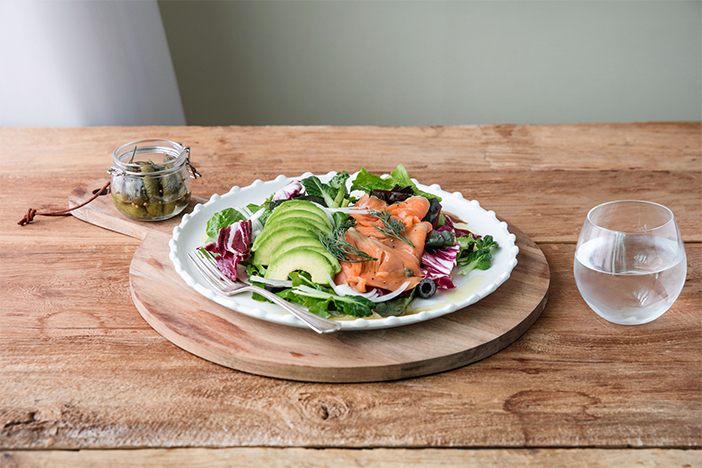 The most popular menus at Long Bread are the Long Bread Panini, salmon & avocado salad, and the grain salad. The café offers many fruit juices and teas to choose from, sure to please even the pickiest of eaters. 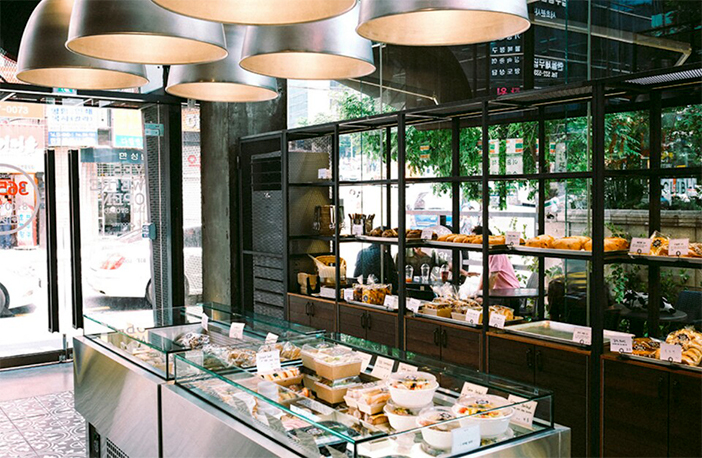 After filling up on healthy foods, stop by Myeong-dong Cathedral or the Myeong-dong shopping area.